Timothy Carey – he is really weird. 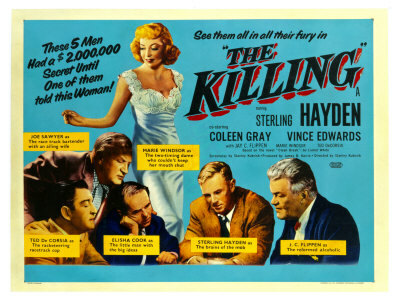 When I won the Look award for best supporting [for The Killing (1956)], Kubrick wanted to shoot publicity shots with his house for a background. You can’t believe this guy. He slept on a tom mattress with no sheets, windows that had burlap hanging instead of curtains. It looked worse than skid row, but Kubrick really thought he had charisma. This entry was posted in Film, Quotes and tagged look magazine, marie windsor, roy frumkes, stanley kubrick, the killing, the perfect vision magazine, timothy carey. Bookmark the permalink.